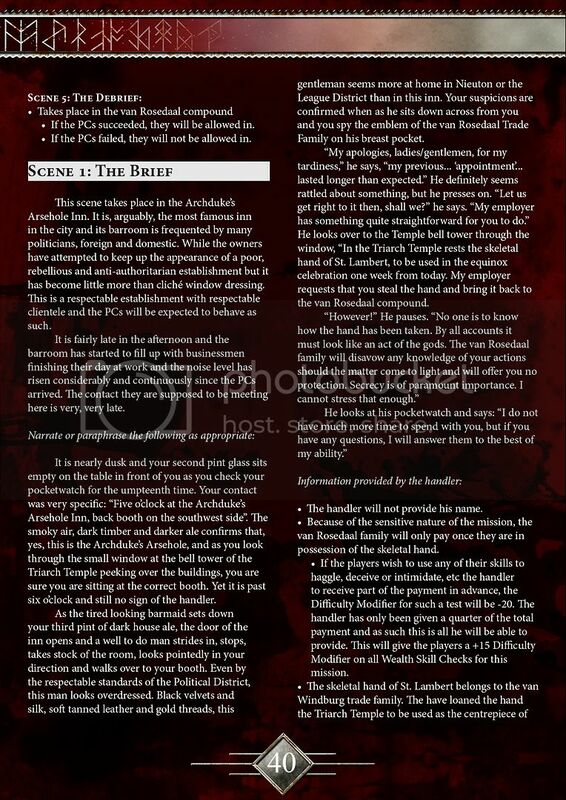 The Ruined City campaign book is just around the corner and so we thought we’d give you a quick look inside the book. And to start off, the Ruined City and the rest of the Ruined Man campaign books are not simply just campaign books. 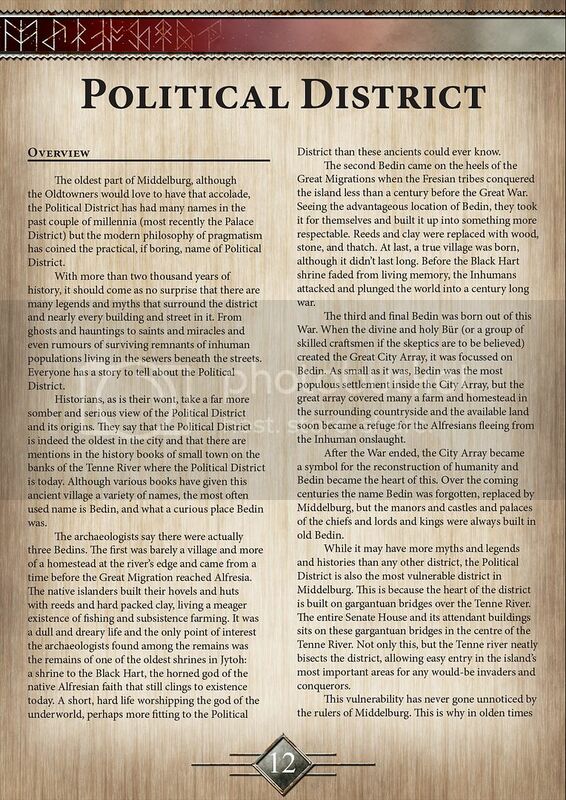 While they will take you on the journey following the destruction caused by the Ruined Man, the books will also serve as a primer for the Grand City of Middelburg. Everything you could every possibly have wanted to know about you will be able to find in the Ruined Man books. Just as it takes you through the Ruined Man story, it will take you through the city. Each book will take a look at different parts of the city and break them down by districts to give you a good look at each part of the city. 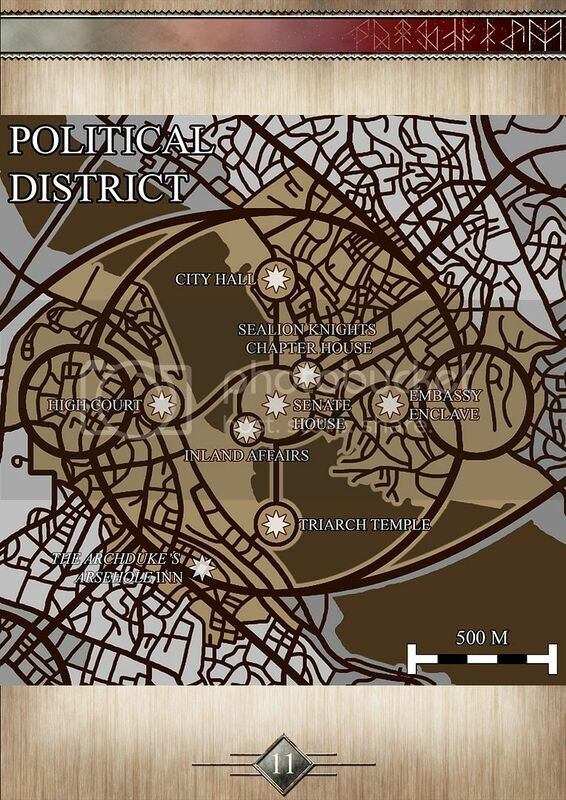 Every district will have a map showing where in the city it is as well as some interesting locations to visit. Not every single building in the city will be shown, clearly, but by the end of the campaign there will be hundreds of unique locations highlighted across the city for you to venture to and explore. Not only will you be shown every piece of the city, you will be given an indepth tour of every location. You will be able to see the history and character of every major building and structure in the city so that by the end of the campaign you will know Middelburg better than your own home town. Every description of each structure will give you more than enough to be able to use these locations in your own adventures in the city. Every mission in the campaign will be tracked alongside every district, so that you will be able to explore and interact with each district in the campaign as you read about them, and bringing the city to life in a way that words alone never can. But enough about history and geography, this is a campaign after all! The campaign will be divided up into missions for the PCs to perform, and within these missions the PCs will come more into contact with the horror occurring in the city and the monster that stalks in the shadows. Every mission is written with the GM in mind. It’s all about making your life that much easier so that every mission feels as “real” as possible. Every mission is structured so as to give you background on what did happen, what is happening and what will (most likely) happen. 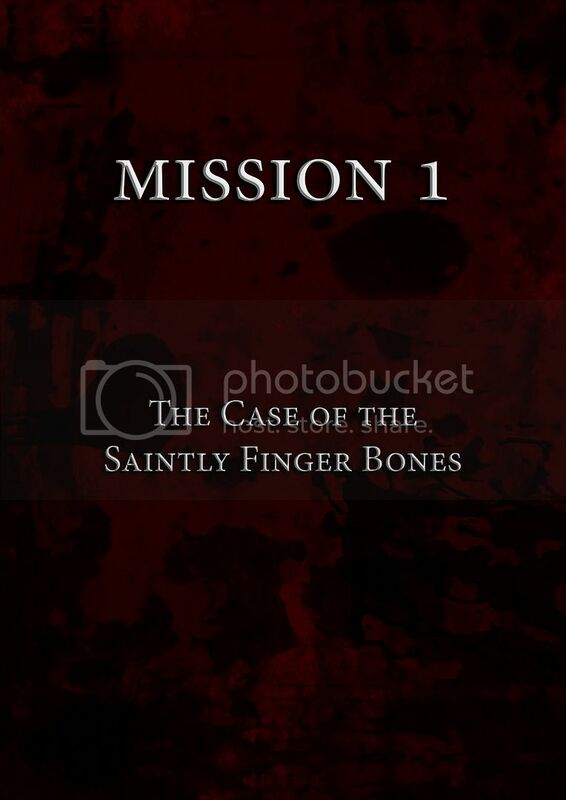 We give you an overview of each mission and then break up the mission into several scenes to compartmentalise the action into manageable chunks for you. You will also find full Skill listings, equipment and runic arrays for each NPC in every mission so that you are never caught unprepared for what the players might throw at you. And of course, every major location in each mission will come with a few maps to make it easier for both you and the players to know what’s going on and how to proceed. 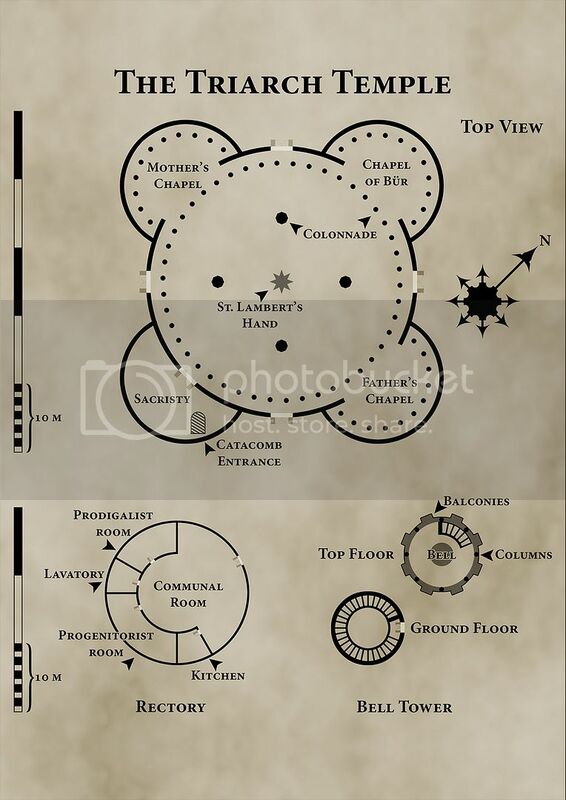 Each map is designed to give you as much necessary information as possible while keeping it vague enough so that you can fill in the details yourself. We don’t want you GMs to feel constrained in these missions and in fact we have gone to great lengths in every part of every mission to give you as much freedom as possible so that you can tailor each mission to yours and your players’ play styles. Of course these five pages are only the merest fraction of what you can find waiting inside the Ruined City. Stay tuned because it will be out in less than three weeks!